The imminent arrival of my little package of heritage seeds from the HSL has prompted me to have my annual clear-out. I do this every year: the routine goes 1) throw out any seed packets more than two years old 2) throw out carrot and parsnip seed regardless (I buy these in fresh each year – better germination rates) 3) put aside seeds to give or swap with other gardeners. And then of course 4) go get loads more seed! Since I’ve now reached stage 3, and it’s coming up to Christmas which seems a nice time to start giving people stuff, I thought it was about time I revived the annual CG Big Seed Giveaway (last held in 2013 when I was still sane and my schedule hadn’t been hijacked by 48,000 words and a book publisher). So first come, first served: get your free seeds here! the giveaway will last for two weeks, until Monday 21 December: follow me on Twitter (@sallynex) for updates. Any seed not taken at the end of the two weeks will be… well, not sure yet, but I’ll find a use for them! 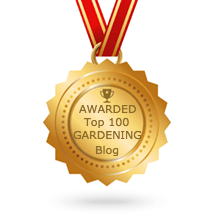 if you enjoy growing your seeds, please blog about them later in the year if you can! no more than 5 packets of seed per person. Hi Leah! Yes the cornflower and poppy are native if you’d like those? Ooh, am I too late? I’m hoping that ‘by Monday 21’ includes that date. If so I would love any of these…. Hi Sally, Many thanks for sending my free seeds. Excellent! !